A man and a woman have been airlifted to hospital after being seriously injured following a collision involving a van in Gobowen this morning. At around 9.35am West Midlands Ambulance Service was called to the junction of the B5069 St Martins Road and West Place in Gobowen, Oswestry. Emergency services found two pedestrians, in their 70s, had been struck by a vehicle. Two ambulances, a paramedic officer and two Midlands Air Ambulances, one with a MERIT trauma doctor on board, attended the scene. A WM Ambulance Service spokeswoman said: “Crews arrived to find two pedestrians, a man and a woman, who were being cared for by passers-by following a reported collision with a van. “Ambulance staff assessed both patients and discovered they had sustained serious injuries. 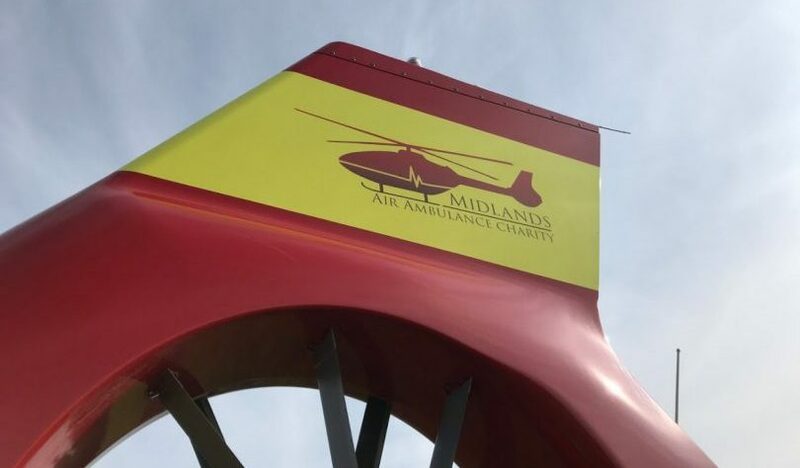 The man and the woman received advanced trauma care from the team of ambulance staff at the roadside before both pedestrians were airlifted to Royal Stoke University Hospital for further trauma care. Police are now carrying out enquiries and appealing for witnesses. Anyone with information is asked to contact West Mercia Police on 101 quoting reference 136s 200319. It is the second serious incident in the same area, happening just hours after a man died in a collision involving a car and a lorry on the A5.